Annnnnnnnnnnnnnnnnnd, we have our first entry! No, no, be MY guest!!!!! 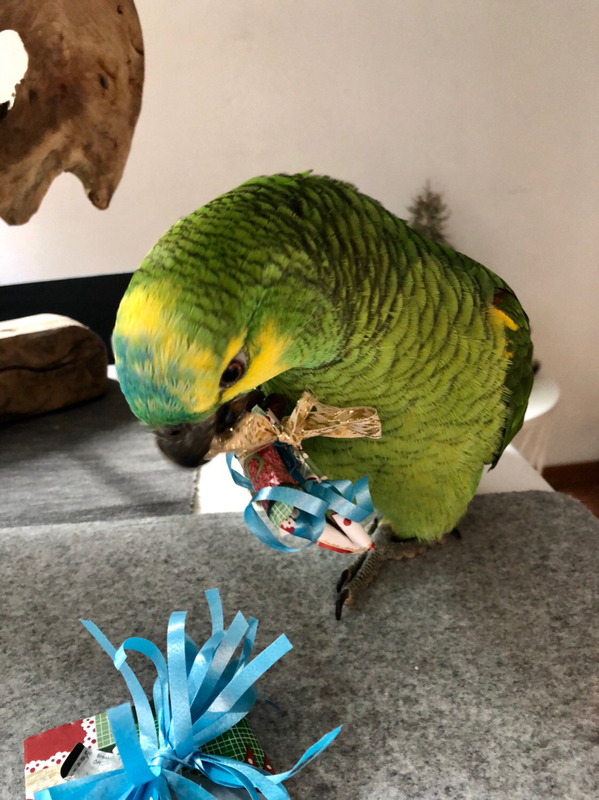 Well so I was wrapping some Christmas gift and of course Mambo had to be there to annoy me.. that’s why I made him 2 mini gifts and he has been playing with them the whole day! 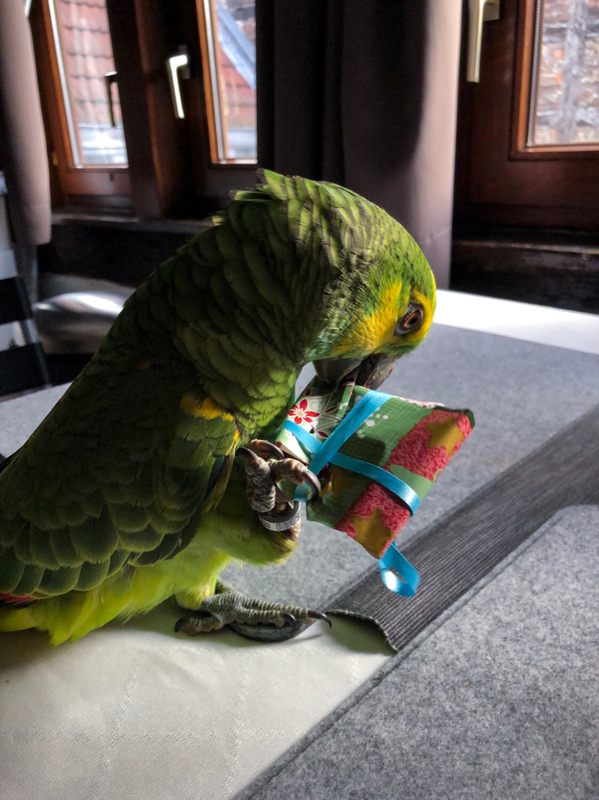 This is gonna be my entry: Mambo opening his gifts! And this just a for fun picture! That is just plain awesome!!! Love it! A Christmas card from both Nico and I! jousze... now THAT's a full-service post. An entry AND a just-for-fun. You and Mambo outdid yourselves. Definitely getting a present, giving a present ("helping" you), and just BEING in the present. Absolutely delightful! 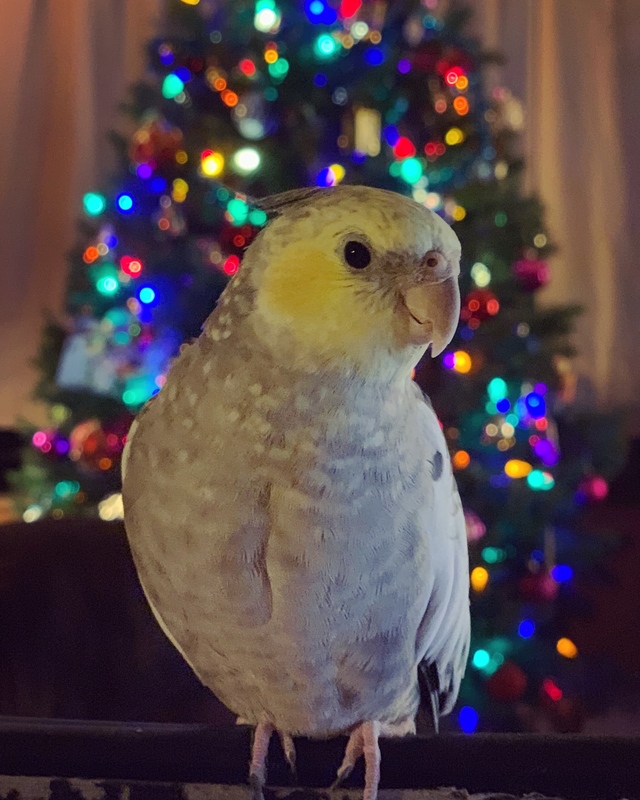 sweetpea... that is a calendar-worthy photo. Wonderful composition, gorgeous bird. I am absolutely enchanted. What a bright-eyed beauty. Glad that you like the pics we took!!! So sorry, I completely forgot to mention that my last post was a just for fun entry... I plan to enter something that fits the theme better in the near future! I am amazed at the incredible images thus far!! 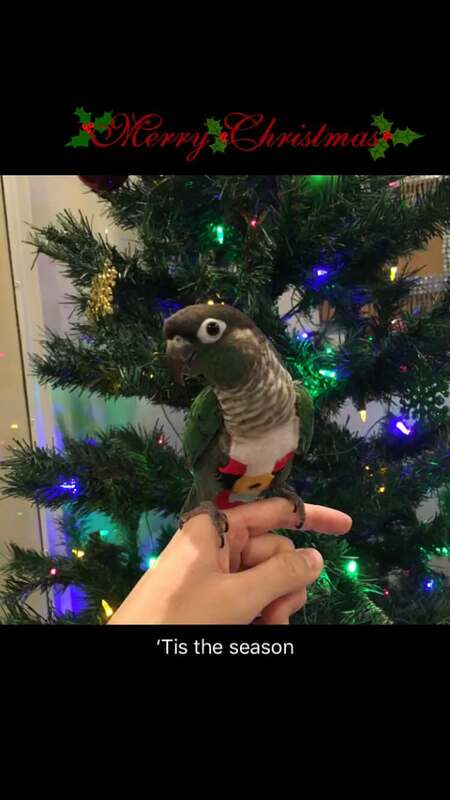 The best present this year was my Ember, who grew to fill that void left behind when my sweet Peach passed away in April. I'm so glad he came into my life and helped that broken piece of my heart heal.